Cycling | Sports Marketing Surveys Inc.
SPORTS MARKETING SURVEYS INC. is delighted to announce a new collaboration with the Bicycle Association of Great Britain to deliver monthly retail data to the UK cycling industry. The Bicycle Association of Great Britain today announced the soft-launch of its market data service, offering UK sales data covering bikes, parts, accessories, and services for the first time. Insight from the data will underpin the industry’s new advocacy programme to grow cycling whilst also supporting and strengthening UK bike businesses for the road ahead. Users will be able to compare their own data to market and sector averages down to category, sub-category, and even SKU level in some areas. Data can also be filtered by price band, by channel, by region or retailer-type. “Customers, trading conditions, and market trends in cycling have never evolved faster. And the cycling industry has never been more diverse and competitive. Cycling is changing and growing: for sport, for leisure, for health and for transport. Now our industry needs accurate market data more than ever – to underpin our advocacy work, and to strengthen UK cycling businesses. 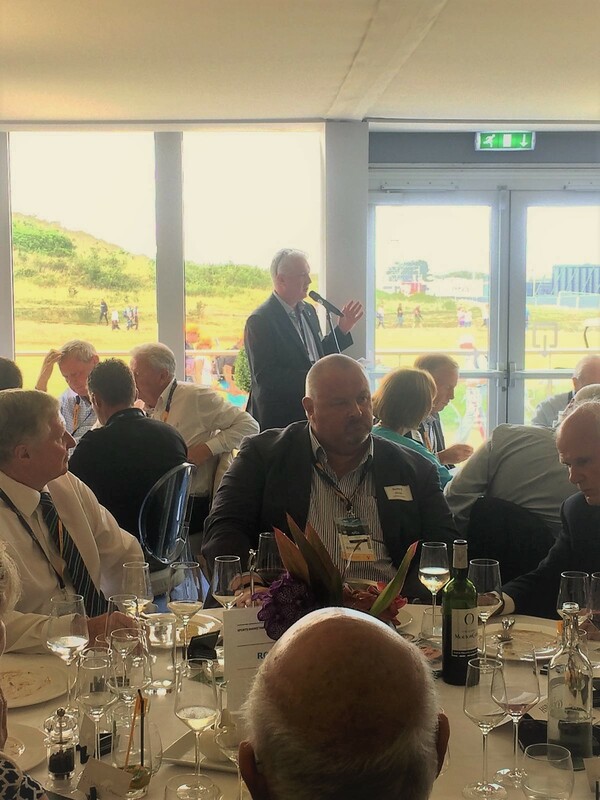 The total cost, underwritten by the Association on behalf of the industry, will be recouped through BA members subscribing to the service, with the more members subscribing, the lower the costs. It will be free to bike shops with a turnover of under £5m. The BA has spent 8 months building the support and infrastructure needed to offer the service. It has recruited by competitive tender a specialist data partner, SPORTS MARKETING SURVEYS INC, who will produce a high quality, detailed monthly reporting service available via a dynamic on-line dashboard. SMS INC. will handle all the raw data on behalf of the Association and ensure with a wide range of measures that all data will remain anonymous, accurate, and reliable. Non-BA members will also be able to access a selection of the data as part of bespoke reports. The service already has the support of leading retailers, brands, and distributors within BA membership, and the soft-launch period, January to March, will be used to recruit further afield. The service will be free during the soft launch period and anyone who signs up to the reporting service prior to 31st March will get a lifetime free upgrade to the silver level version of the dashboard. The Association is targeting 70% coverage of the market by the end of the first year. Please click on https://www.bicycle-association.org.uk/market-data for more detail and to sign up to the service. SPORTS MARKETING SURVEYS INC. (SMS INC.) has officially signed a contract with MMRI to have exclusivity of their new intelligence platform, Klood Radar. The global launch of SPORTS RADAR is set to make a big impact in the sporting industry. Klood Radar is an online and digital intelligence platform, which has the ability to capture data on a particular brand, product or topic from around the world. Utilising the latest digital identification technology, SPORTS RADAR will bring topic and sentiment analysis – supported by SMS INC. sports insight – to help understand the conversations and viewpoints within the sports market. A revolutionary service, Klood Radar was a finalist in the Best Data Solution category at the Market Research Society’s Operations Awards 2017. With exclusive use of this software, SPORTS RADAR gives SMS INC. an opportunity to service Federations, sports brands, sports events, athletes and those investing in sport. Established for over 30 years, Sports Marketing Surveys is a market research business specialising in sports and leisure. SMS INC. provides SMART data, analysis and insight for leading sports equipment manufacturers, sports federations, major sporting events, specialty retailers and venue operators. MMRI has over 30 years’ experience as a media market research agency. Identifying a gap in the market for a platform which would provide much more intelligent insight, Klood Radar is able to analyse and process digital data and conversations providing strategic understanding on spontaneous social responses. With SMS INC. insight thereby enabling organisations to make better decisions. SMS INC. and MMRI have co-operated closely to develop SPORTS RADAR and are now launching this globally to the sports industry. To see findings from SPORTS RADAR and download a free report please click here: SMS INC_Sports RADAR_GolfSixes. 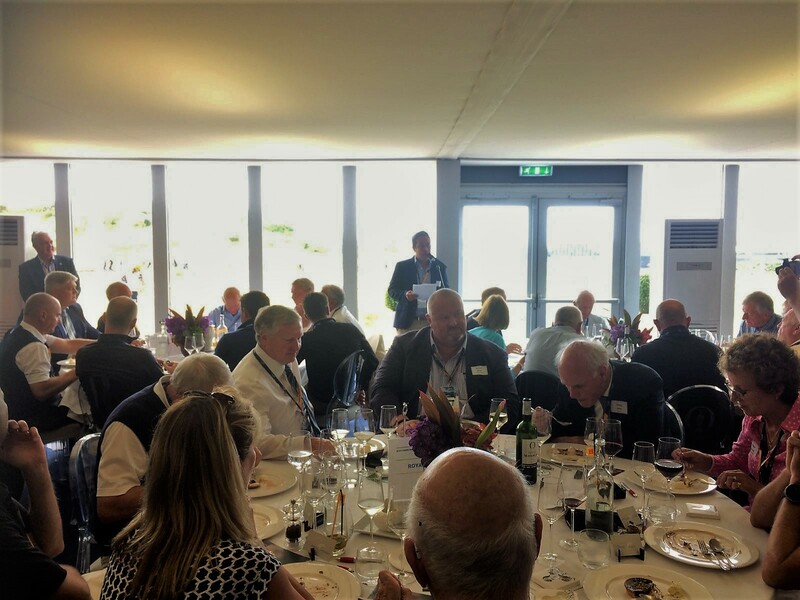 SMS INC. utilised their Sports Radar platform to collect, code and analyse commentary around the Golf Sixes tournament in May at the Centurion Club. Coding the data using the following criteria enabled us to look far beyond the noise being generated to understand sentiment in more detail and the key conclusions. 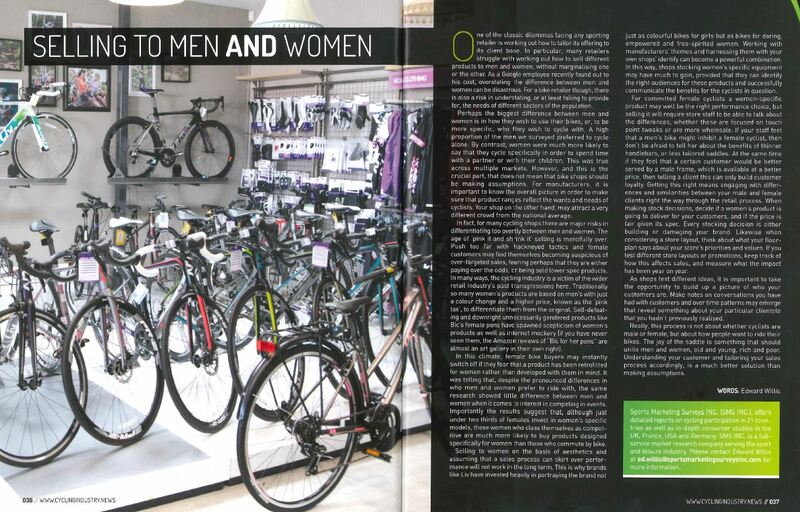 This month, SMS INC.’s Ed Willis featured in Cycling Industry News‘s Q4 trade journal, discussing selling bikes to men and women; and the way to go about it. Please get in contact if you have any questions about the article, or the research discussed. One of the classic dilemmas facing any sporting retailer is working out how to tailor its offering to its client base. In particular, many retailers struggle with working out how to sell different products to men and women, without marginalising one or the other. As a google employee recently found out to his cost, overstating the difference between men and women can be disastrous. For a bike retailer though, is there also a risk in understating, or at least failing to provide for, the needs of different sectors of the population. Perhaps the biggest difference between men and women is in how they wish to use their bikes, or, to be more specific, who they wish to cycle with. A high proportion of the men we surveyed preferred to cycle alone. By contrast, women were much more likely to say that they cycle specifically in order to spend time with a partner or with their children. This was true across multiple markets. However, and this is the crucial part, that does not mean that bike shops should be making assumptions. For manufacturers, it is important to know the overall picture in order to make sure that product ranges reflect the wants and needs of cyclists. Your shop on the other hand, may attract a very different crowd from the national average. In fact, for many cycling shops there are major risks in differentiating too overtly between men and women. The age of ‘pink it and shrink it’ selling is mercifully over. Push too far with hackneyed tactics and female customers may find themselves becoming suspicious of over-targeted sales, fearing perhaps that they are either paying over the odds, or being sold lower spec products. In many ways, the cycling industry is a victim of the wider retail industry’s past transgressions here. Traditionally so many women’s products are based on men’s with just a colour change and a higher price, known as the ‘pink tax’, to differentiate them from the original. Self-defeating and downright unnecessarily gendered products like Bic’s female pens have spawned scepticism of women’s products as well as internet mockery (if you have never seen them, the amazon reviews of Bic for her pens are almost an art gallery in their own right). In this climate, female bike buyers may instantly switch off if they fear that a product has been retrofitted for women rather than developed with them in mind. It was telling that despite the pronounced differences in who men and women prefer to ride with, the same research showed little difference between men and women when it comes to interest in competing in events. Importantly the results suggest that although just under two thirds of females invest in women’s specific models, those women who class themselves as competitive are much more likely to buy products designed specifically for women than those who commute by bike. Selling to women on the basis of aesthetics and assuming that a sales process can skirt over performance, will not work in the long term. This is why brands like Liv have invested heavily in portraying the brand not just as colourful bikes for girls but as bikes for daring, empowered and free-spirited women. Working with manufacturers’ themes, and harnessing them with your own shop’s identify can become a powerful combination. In this way, shops stocking women’s specific equipment may have much to gain, provided that they can identify the right audiences for these products and successfully communicate the benefits for the cyclists in question. For committed female cyclists a female specific product may well be the right performance choice, but selling it will require store staff to be able to talk about the differences, whether these are focused on touch point tweaks or are more wholesale. If your staff feel that a men’s bike might inhibit a female cyclist, then don’t be afraid to tell her about the benefits to her of thinner handlebars, or less tailored saddles. At the same time if they feel that a certain customer would be better served by a male frame which is available at a better price, then telling a client so can only build loyalty to your shop. Getting this right means engaging with differences and similarities between your male and female clients right the way through the retail process. When making stock decisions, decide if a women’s product is going to deliver for your customers, and if the price is fair given its spec. Every stocking decision is either building or damaging your brand. Likewise when considering a store layout, think about what your floorplan says about your store’s priorities and values. If you test different store layouts or promotions, keep track of how this affects sales, and measure what the impact has been year on year. As shops test different ideas, it is important to take the chance to build up a picture of customers as they come to your shop. Make notes on conversations you have had with customers. Over time patterns may emerge that reveal something about your particular clientele that you hadn’t realised. Really, this process is not about whether cyclists are male or female, but about how people want to ride their bikes. The joy of the saddle is something that should unite men and women, old and young, rich and poor. Understanding your customer and tailoring your sales process accordingly, is a much better solution than making assumptions. 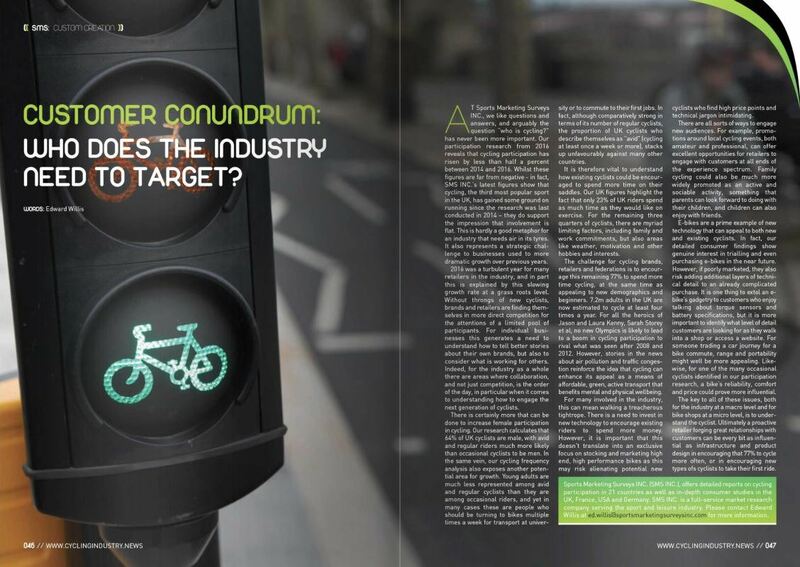 This month SMS INC.’s Ed Willis wrote a piece for Cycling Industry News on the cycling market, and who the industry should be targeting. You can see the magazine in full here, and the article can be found below. At SPORTS MARKETING SURVEYS INC., we like questions and answers, and arguably the question “who is cycling?” has never been more important. Our participation research from 2016 reveals that cycling participation has risen by less than half a percent between 2014 and 2016. Whilst these figures are far from negative – in fact, SMS INC.’s latest figures show that cycling, the third most popular sport in the UK, has gained some ground on running since the research was last conducted in 2014 – they do support the impression that business is flat. This is hardly a good metaphor for an industry all about two wheels. It also represents a strategic challenge to businesses used to more dramatic growth over previous years. 2016 was a turbulent year for many retailers in the industry, and in part this is explained by this slowing growth rate at a grass roots level. Without throngs of new cyclists, brands and retailers are finding themselves in more direct competition for the attentions of a limited pool of participants. For individual businesses this generates a need to understand how to tell better stories about their own brands, but also to consider what is working for others. 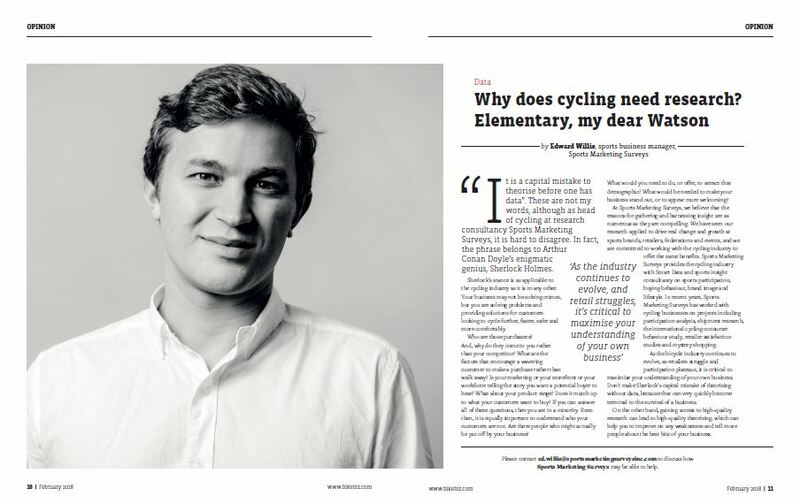 Indeed, for the industry as a whole there are areas where collaboration, and not just competition, is the order of the day, in particular when it comes to understanding how to engage the next generation of cyclists. There is certainly more that can be done to increase female participation in cycling. Our research calculates that 64% of UK cyclists are male, with avid and regular riders much more likely than occasional cyclists to be men. In the same vein, our cycling frequency analysis also exposes another potential area for growth. Young adults are much less represented among avid and regular cyclists than they are among occasional riders, and yet in many cases these are people who should be turning to bikes multiple times a week for transport at university or to commute to their first jobs. In fact although comparatively strong in terms of its number of regular cyclists, the proportion of UK cyclists who describe themselves as “avid” (cycling at least once a week or more), stacks up unfavourably against many other countries in the sample. It is therefore vital to understand how existing cyclists could be encouraged to spend more time on their saddles. Our UK figures highlight the fact that only 23% of UK riders spend as much time as they would like on exercise. For the remaining three quarters of cyclists, there are myriad limiting factors, including family and work commitments, but also areas like weather, motivation and other hobbies and interests. The challenge for brands, retailers and federations is to encourage that 77% to spend more time cycling, at the same time as appealing to new demographics and beginners. 7.2m adults in the UK are now estimated to cycle at least four times a year, and for all the heroics of Jason and Laura Kenny, Sarah Storey et al, no new Olympics is likely to lead to a boom in cycling participation to rival what was seen after 2008 and 2012. Arguably new growth in bottom-line participation is most likely to come from people seeing the bike as a means of affordable, green, healthy transport. For many involved in the industry, this can mean walking a treacherous tightrope. There is a need to invest in new technology to encourage existing riders to spend more money. However, it is important that this doesn’t translate into an exclusive focus on stocking and marketing high end, high performance bikes as this may risk alienating potential new cyclists who find high price points and technical jargon intimidating. There are all sorts of ways to engage new audiences. For example, promotions around local events, both amateur and professional, can offer excellent opportunities for retailers to engage with customers at all ends of the experience spectrum. Family cycling could also be much more widely promoted as an active, sociable weekend activity, something that parents can look forward to doing with their children, and children can also go and do with friends. Meanwhile train and tube strikes, rising rail fares, and longer commutes by road present an opportunity for cycling to sell itself as an affordable, healthy alternative. E-bikes are a prime example of new technology that can appeal to both new and existing cyclists. In fact our detailed consumer findings show genuine interest in trialling and even purchasing e-bikes in the near future. However, if poorly marketed, they also risk adding additional layers of technical detail to an already complicated purchase. It is one thing to extol an e-bike’s gadgetry to customers who enjoy talking about torque sensors, battery specifications and wattage, but it is more important to identify what level of detail customers are looking for as they walk into a shop or access a website. For someone trading a car journey for a bike commute, range and portability might well be more appealing. Likewise for one of the many occasional cyclists identified in our participation research, a bike’s reliability, comfort and price could prove more influential. The key to all of these issues, both for the industry at a macro level and for bike shops at a micro level, is to understand the cyclist. Ultimately a proactive retailer forging great relationships with customers can be every bit as influential as infrastructure and product design in encouraging that 77% to cycle more often, or in encouraging new types of cyclists to take their first ride. SPORTS MARKETING SURVEYS INC (SMS INC)., offers detailed reports on cycling participation in 21 countries as well as in-depth consumer studies in the UK, France, USA and Germany. SMS INC is a full-service market research company serving the sport and leisure industry. Please contact Edward Willis at ed.willis@sportsmarketingsurveysinc.com for more information. WISLEY, UNITED KINGDOM – January 2017 Leading market research firm SPORTS MARKETING SURVEYS INC. announces new results from its ground-breaking participation study across 27 sports in 21 countries worldwide. The research began in 2014-15 over a two-year cycle, with the 2016 figures offering up to date information on the state of play in the UK, France, Germany, Sweden, Poland Australia, USA, Japan and India. 2016’s figures therefore also represent a chance to assess changes over the course of the last two years, bringing trend based information to this vital area of the industry. “This research gives brands invaluable data and detailed insight into the key question of ‘who is doing my sport’. Understanding participation is critical for demand forecasting, strategic planning and identification of potential areas for growth across many key sports. This is the first time comparative findings on this scale have been available on an international basis. ,” said John Bushell, Managing Director, SPORTS MARKETING SURVEYS INC. The findings are essential to brands in understanding the international consumer market in their sports. 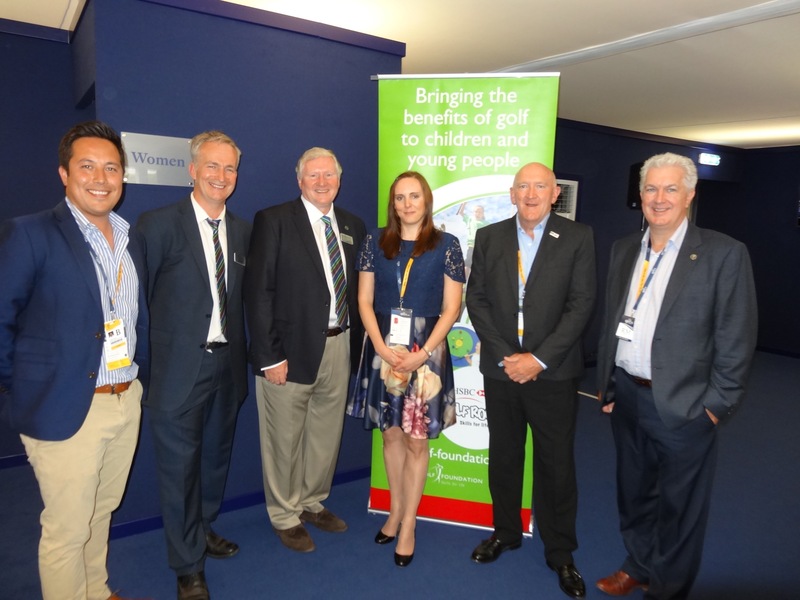 Meanwhile, federations and governing bodies can explore the starting age and play frequency of current participants while also monitoring the sports competing for players’ time, and targeting new demographics for potential growth. The robust research, which surveys 3,000 households per country, explores the rates of sports participation in unprecedented depth, showing detailed demographic splits, as well as tracking motivations and other play habits. A full report costs £650 per country per sport, although discounts are available for multiple sports/countries. SPORTS MARKETING SURVEYS INC., is a full-service market research agency with offices in the UK and USA. It offers syndicated and bespoke research programmes in a range of sports, working with brands, retailers, venues, events, federations and governing bodies. 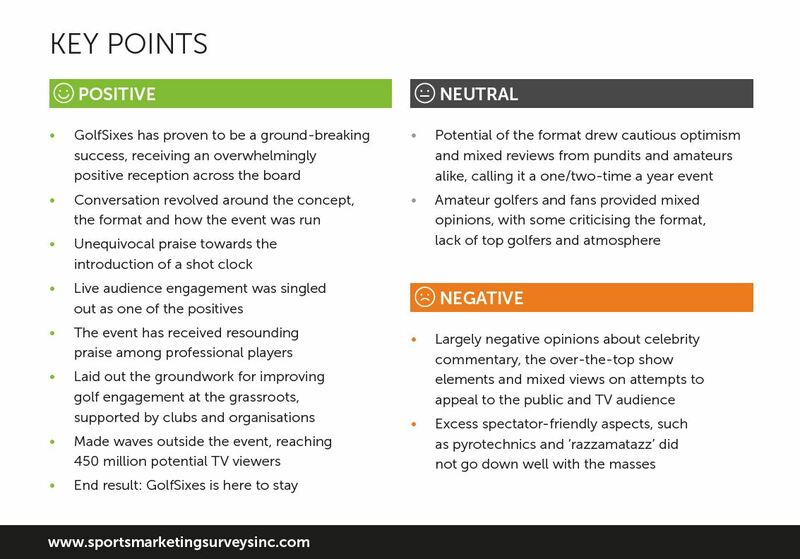 Editor’s note: SPORTS MARKETING SURVEYS INC. undertook the fieldwork with a leading international research panel provider in the last two year and have completed with SPORTS MARKETING SURVEYS USA. over 250,000 interviews in more than 20 markets covering 100 sports on the playing of sport. This programme has been done with the support of the International Tennis Federation (ITF) and the US TIA (Tennis Industry Association) as part of a wider programme into equipment usage and participation. Each report will include the profile of cyclists and overall cycling habits, as well as putting the spotlight on the relevant sector, including details of brand share, spend and point of purchase. The International Cycling Consumer Programme was run in the UK, France, Germany and the USA and features robust samples of core cyclists within each market. To participate, respondents had to have spent at least £400 on their main bike, and have cycled 12 times in the six months prior to fieldwork. Male and female cyclists were recruited in equal proportion to enable close analysis of differences between male and female participants. As well as gender, results can be split by multiple factors, including age, spend, cycling type and motivation for cycling. The programme will be repeated in Q4 2016 and so there is an opportunity for participating brands to have an input on the questions and topics covered, enabling them to tailor the research to their needs. Report prices range from £1,000-£2,000 per country. The full report, which offers a comprehensive overview of all areas of the cycling market, is available for £3,500 per country. For full details of topics included within each new report, or to discuss any other cycling research needs, please contact Edward Willis – ed.willis@sportsmarketingsurveysinc.com or call the Sports Marketing Surveys Inc. office on 01932 345539. WISLEY, UNITED KINGDOM – June 10th, 2016 – SPORTS MARKETING SURVEYS INC. (SMS INC.) has appointed Vikki Zeila to the position of Senior Sports Research Manager, with a particular focus on qualitative research as well as significant experience of large national quantitative programmes. Vikki Zeila has joined us from Ipsos MORI where she was the Associate Director of the prestigious National Student Survey (NSS). Here she was responsible for the project management of the annual census of undergraduate students within the UK, dealing with sample sizes of approximately 450,000 students from 350 institutions. She previously worked for the Sector Skills Council for Active Leisure, Learning and Well-Being as the Sports Account Manager, where she provided comprehensive assessments of the current and future skills priorities for the sector and insights to support sporting participation targets. 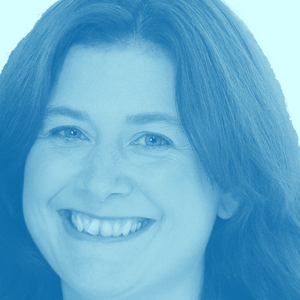 She has over 13 years’ experience of qualitative research with a range of respondents including senior level stakeholder, policy makers and members of the general public; and has managed a broad and varied range of research projects including satisfaction surveys, stakeholder research, employer and employee surveys, and public opinion research. See more about Vikki here. Editors Notes: SPORTS MARKETING SURVEYS INC. is an independent sports research agency that has been conducting research amongst the regular sports participant since 1984.